The going at Bratton Down is now firm. The fences have been moved. Plus the aggrivator will be used on the course prior to racing. The going at Bratton Down is good to firm, firm in places. The aggrivator is booked to use if we don’t have rain. The going at Bratton Down remains good to firm. The aggrivator has NOT been needed. Having had an inch of rain over the last couple of days the going is now good to firm at Bratton Down. Bratton Down is firm, although it is raining at present. Fences have been moved. The aggrivator is booked for Saturday afternoon to ensure safe racing. The going at Bratton Down is now Good to Firm with a really good covering of grass. – Hugh Thomas. 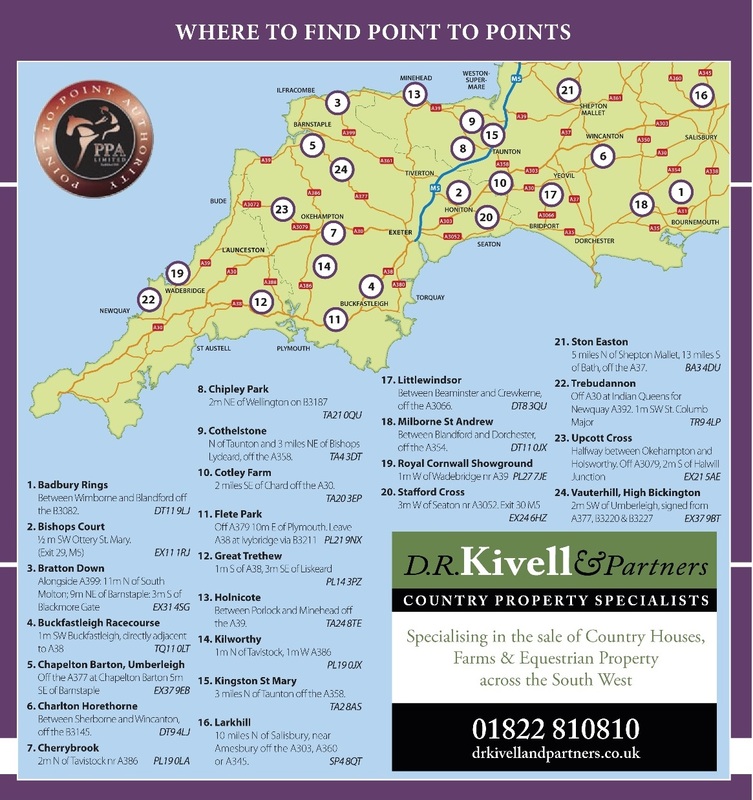 The penultimate Point-to-Point of the season takes place at the stunning location of Bratton Down, Bratton Fleming this coming Sunday 10th June where the Tiverton Staghounds host their meeting. There are six races on offer with a start time of 2pm. 77 entries have been received. There is still much at stake with both area and national championships to be decided as the season draws to a close, many outside raiders have entered here and could well turn up to battle out the finishes. This course offers a fantastic view of Exmoor, together with some thrilling race action. There is hot and cold food and refreshments, a lively bar, bookies and plenty of room for picnicking and shopping among the various trade stands. Entrance to the course is £10 per person capped to £30 per car. Children under 16 free. Dogs only on leads welcome. Location of the course is Bratton Down, Bratton Fleming 9m NE of Barnstaple on A399, 11m N of South Molton – EX31 4SG. 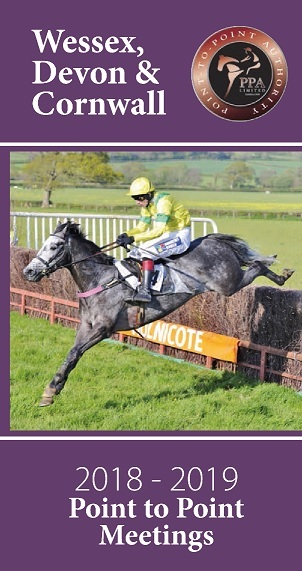 For further information contact the Secretary Jenny Hayes on 01769540894 or 07979307549 email sheepwashfarm@gmail.com or look on the website http://www.pointingdc.co.uk together with Devon & Cornwall Point-to-Point FB page for up to date information. Early bird tickets can be purchased from https://www.futureicticketing.ie/client/brattondown. An up to date form guide and synopsis of the horses entered at this meeting. Form figures for up to 6 outings appear. A dash(-) is used to separate 2017/18 form from 2016/17 form. Figures preceded by an oblique (/) represents 2015/16 form or earlier. Horses marked with an asterisk (*) indicates National Hunt form. The higher the rating the better the form. No responsibility can be accepted for any errors which may be considered to have occurred.